Here's what happens when someone writes about you on ACB. You could call it the 2010 version of the bathroom wall, or the all-new "burn book" of the 2000s. The year-old Web site www.collegeacb.com takes trash-talking online. 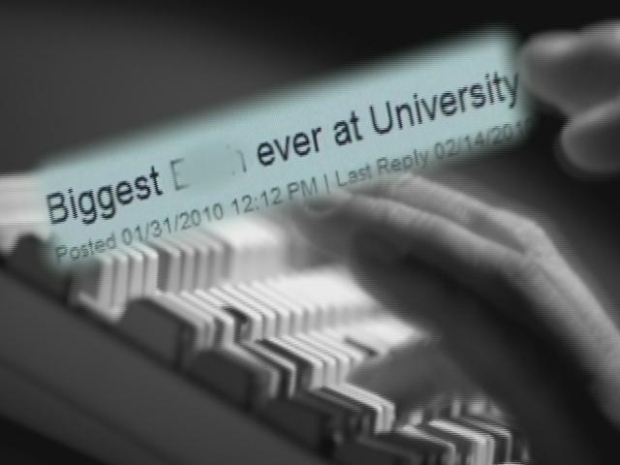 ACB stands for "anonymous confession board" and it's heating up keyboards on campuses all over the country. "People are literally scared of a Web site, which is horrible, and yet people can't stop looking," University of Hartford student Kerri Woods said. Take a tour of the site and you'll find discussion boards dedicated to many different colleges and universities. You'll also find salacious gossip, nasty comments and lots of curse words. We sat down with the site's owner, Peter Frank, a 19-year-old Wesleyan student. "You can ask how classes are. You can say you lost something. Right now, it's mostly used for gossip. That's largely a result of us taking over juicycampus.com, but that's never been our mission, and we've never called for salacious gossip," he said. When the gossipy Web site Juicy Campus, a frequent target of the Attorney General, shut down due to money problems, users were sent here. Right on the site, it says "ACB consistently hosts a higher level of discourse-while still making room for the occasional gossip post." But browse the site and most could be enough to make you blush. University of Hartford student Evan Gonzalez says he knows students who won't go out in public often because they're afraid of being written about. "There are certain girls that just get picked out of the crowd sometimes, where you constantly see their name on the Web site and, I don't know, just horrible things," he said. Gonzalez and Woods talked to NBC Connecticut on camera but there are dozens of students who won't. They say they've been written about before and they feel that if someone sees them on camera talking about the site, they might be written about again. We wondered about the impact of online gossip and turned to Dr. Jack Banks, Professor of Pop Culture at the University of Hartford. "It's not like you're in the school yard saying, ‘Bobby you're a jerk.’ You're posting it online, anonymously, so there are no consequences for doing it. At least for the person who posts it. Unfortunately, there are lots of consequences for the people that are being attacked online," Banks said. Dr. Banks cautions that the nasty posts can do some serious damage. "Unfortunately, I think we're seeing more and more evidence of eating disorders, of psychological problems that have long lasting consequences and effects," he said. So, who is ultimately responsible? Some students point their finger at Frank, but he says he'll remove posts if they upset you. "It could either be automatically deleted if enough people report it and I wouldn't have to do anything to it, or you can send me an e-mail and I'll do my best to delete it as fast as possible," he said. Woods says the blame lies with the people who post. "It's going to make someone to do something horrible. It already has broken up relationships. It's made people not want to hang out with someone and have these preconceived notions," he said. 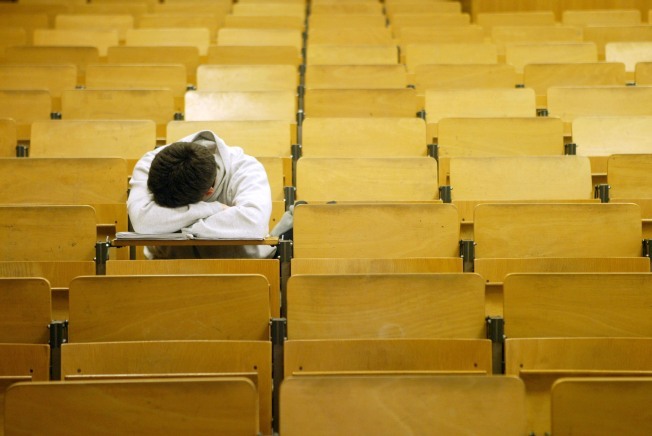 Still others say colleges should crack down. The majority say it's not fair that Frank makes money off of misery. But he says all he does is provide the space. "Here's an open forum to discuss any topic you want. Our mission statement mentions religion, sexuality, other topics that could be taboo, so if I were calling for this gossip then yes, I'd agree it's my responsibility to make sure it doesn't get out of hand. But I'm trying to give an open space and that's exactly what I've done," he said.